When a certain GO game was making headlines last year, it was common for families to comment how playing the latest Pokemon title was getting them off the couch and onto the world's rambling trails. Games were once considered the exact opposite of an active hobby. But location-based games deliver an experience at odds with that typical view of gaming as a solitary, sedentary pursuit. You can get some exercise and score points at the same time. Taking that concept one further is the Finnish initiative Fitness Village. As well as integrating digital gym equipment with members' smartphones at Helsinki's Fitness Village Training Center, last month it launched a family-orientated, health-themed mobile game of its own. Fitness Village was founded in 2013. Its first game app has been in soft launch since Tuesday August 1st 2017 in Finland. It's supported by the University of Oulu and VTT Technical Research Centre of Finland Ltd, as well as other partner companies and sponsors such as Subway stores. It's part of a TEKES-funded, national HILLA (High-tech ICT Leverage from Long-term Assetisation) growth and innovation programme, accelerating business ICT research. And it's a combination of mini-games, location-based outdoor activities, fitness tracker and gym reward programme. 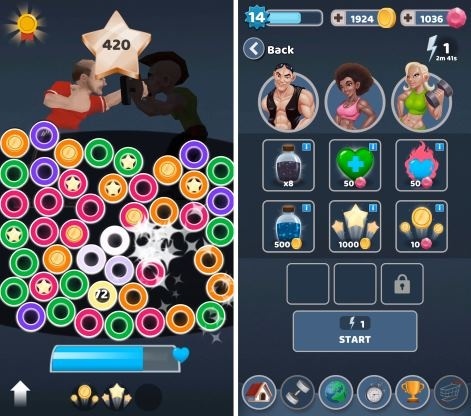 We spoke with Klaus Kääriäinen, Project Manager at Fitness Village: "The core idea of the game is to get the player hooked into developing his or her character and attending online tournaments. All this happens from your cozy home sofa, but at some point you start to realise that putting your sneakers on and going for a walk gives you additional points to develop your character more efficiently." The group has registered a patent for turning physical activity into virtual rewards: TP111274PC PCT PCT/FI2017/050246 6.4.2037 'system and a method for converting exercise activity into user credit'. At the same time, the associated mobile game – which boasts simple mini-games as well as a GO-style map-based walking challenge – enables you to earn rewards from out-of-gym play. It was developed by an in-house crew. "Currently our team consists of six people in total divided between art, programming, sales and management," revealed Kääriäinen. "The core development team is based in central Finland, Jyväskylä. The rest of the team are located in Oulu. We have strong networks in eastern Finland and Helsinki as well." Kääriäinen explained about how the partnership came about: "The size of the TEKES Hilla FiVi project is over one million euros, which has been divided between all the partners in the project. Partners from Fingersoft and research from University of Oulu and VTT gave us a lot of great guidance. "The research effort concentrated mostly on game testing and getting the right feedback from variety of different player types. SN Sports' partnership was to open the first 'gamified training center' in Helsinki, which is one of the greatest achievements of the whole concept of course. We plan to expand this to other partner gyms and training centres as well." The sofa mode has to be "addicting and interesting", since all the real world activities grant bonuses for it (as well as their own real world benefits). But the app encourages you to go outside. "The GO-mode offers low-barrier entry to do real world physical challenges," continues Kääriäinen. "So additional devices or app installations are not required. Training-mode, however, features activity tracking sensors for players who want more use for their devices and to gain more benefits and motivation from their everyday activity. Current activity tracking sensors are Life Fitness, Fitbit, Google Fit and Polar. We do have plans to implement Apple Health for iOS users as well." The location-based walking part of the app has some similarities with Pokemon GO. 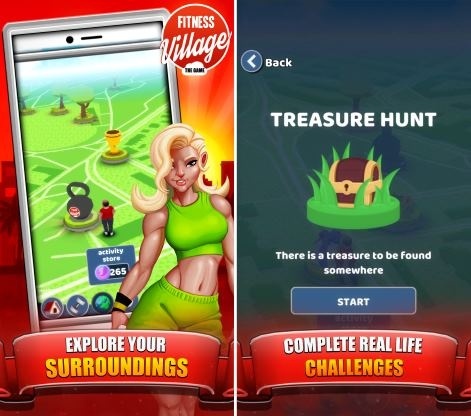 The Fitness Village app was already in development when Nintendo's walkabout game was released, so how did that make the team feel and what did they learn from it? "Pokemon GO was a big thing for us!" says Kääriäinen. "To see that we are going into right direction. It also gave us new ideas to improve real world physical activities and helped us dodge a couple of fox holes, such as trying to prevent users getting into accidents while looking at the screen. The GO-mode offers us endless possibilities to make real world activities fun and it feels that we still have only scratched the surface at this point." And by connecting your mobile phone, tablet, Sports Watch or Activity Tracker up to your account, you can let in-gym sensors track your movement and go towards rewards in the game, which might mean outfit upgrades for your character or points you can exchange for physical rewards. "That really depends on the partner we are co-operating with," says Kääriäinen. 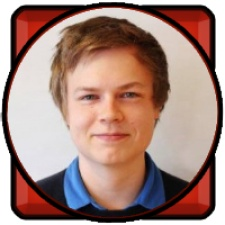 "For example, our Training Center in Helsinki offers products to get from the in-game market. That might be free membership into the gym, shakers, drinking bottles and even a free personal trainer session. "When purchasing these products, the user fills in some information, such as phone number and name. Once this is done, he/she can visit the gym and claim the prize. Of course one of the great things for the Training Center, is that they get potential customers to visit their premises which may end up getting new members into the services." That offers a partial insight into how the app is monetised, though there's more to it, as Project Manager Klaus Kääriäinen states. "The game itself features traditional ad placements and in-app purchases, but the ecosystem offers new, unique ways to monetise," he says. "As an example the visibility for companies in GO-mode comes with a monthly fee or a tailor-made deal with the partner company. Fitness Village Training Center and Subway are the first partners which feature the use of activity points for real life benefits. Currently we are looking for new partners while having ongoing discussions with various of potential partner companies globally." Or you can skip the gym and just play the mini-games, or get outside and win tournaments by jogging around your neighbourhood. "Currently there are walking challenges," says Kääriäinen. "There's treasure hunting and competitions which get you moving and reward you with activity points. In the near future we'll add more social elements into GO-mode, such as global leaderboards." And there are other side quests to come in future: "We have prototyped several different mini-games and the fourth mini-game is going to be added in the next content update. We are focusing on pretty familiar game mechanics for the mini-games and adding a little juice in them with our powerup and stamina systems. We also want to provide a lot of different type of mini-games so that every player can find their favourite." The gym and its game app have already received coverage at the national level in Finland. Thanks to Klaus Kääriäinen, Thomas Jackson and Jouni Herranen for showing Pocket Gamer around the gym recently. The app is available now on the Google Play store. Fitness Village is just 20 minutes' walk from the venue for Pocket Gamer Connects, our industry event taking place Tuesday 19th to Wednesday 20th September. Come along and meet them there next month. Tickets are still available. Dave is Steel Media's Chief Operations Officer. He gets involved in all areas of the business, from front page editorial to behind-the-scenes planning. He began his career in games and entertainment journalism back in the 1990s when Doom came on four floppy disks. Please contact him with any general queries about Pocket Gamer, Blockchain Gamer and Steel Media's other sites and events.